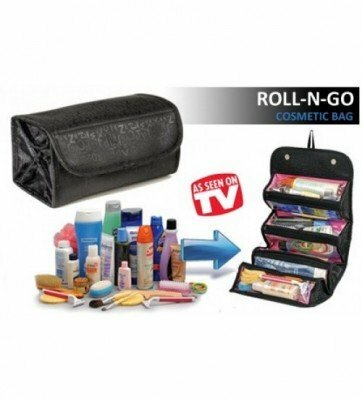 **Pack all your toiletries, cosmetics jewelry, hair care products and more in this, roomy Roll-N-Go toiletry bag. 4 spacious vinyl zippered storage. compartments hold everything neatly in place. Roll and snap shut for travel or, storage or hang for easy viewing and access. Wipe clean polyester, Approx: 10”x5”x4. **Features: 4 zippered compartments, Compact. Stylish, Convenient..Practical, Ideal for cosmetics, toiletries and jewelry, Hangs and rolls for compact storage-snap closure, Stylish design look outer shell in black. 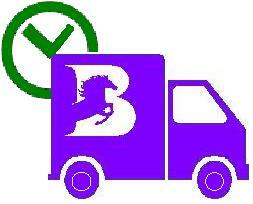 Same Colour Design Will be Shipped. **অর্গানাইজড অ্যান্ড স্পেস সেভার, ম্যাটেরিয়ালঃ পলিয়েস্টার, ৪ টি আলাদা কম্পার্টমেন্ট রয়েছে, প্রতিটি কম্পার্টমেন্ট এ জিপার ক্লোজার আছে, রোল্ড আপ মেজারমেন্টঃ 10"x4.5"x5.5" রোল্ড আউট মেজারমেন্টঃ 10" x 20".......!.